Not just for the southwest anymore, this distinctive exterior is catching on across the country. Find out if it’s right for your home. Stucco siding, a type of hand-troweled masonry plaster consisting of cement, water, and sand, is a definitive feature of Spanish and Mediterranean architecture. These stucco homes feature exteriors in a variety of textures from pebbled to sweeping swirls to virtually smooth, depending on application technique, and provide durable protection against the elements. But this type of masonry does have its downsides, and it isn’t appropriate for every property. So whether your house-hunting has drawn you to this particular look, you’re considering re-siding your home in stucco, or you want to maintain the stucco exterior you’ve already got, read on for a crash course. 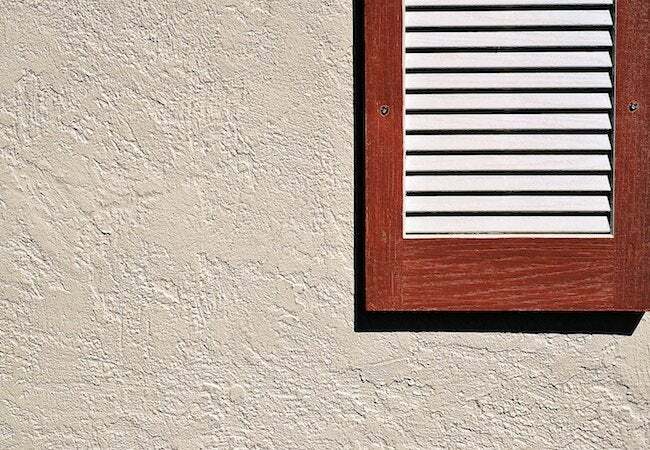 The earliest stucco contained lime instead of cement, and because its ingredients are easily found in nature, it’s one of the oldest natural types of siding around, dating back to ancient Greece. Spaniards are thought to have introduced stucco to Mexico and the American southwest, creating rock-hard walls by applying the mixture over stick-, stone-, or timber-framing. With the mass production of dry cement in the early 1900s, stucco siding entered a new era. 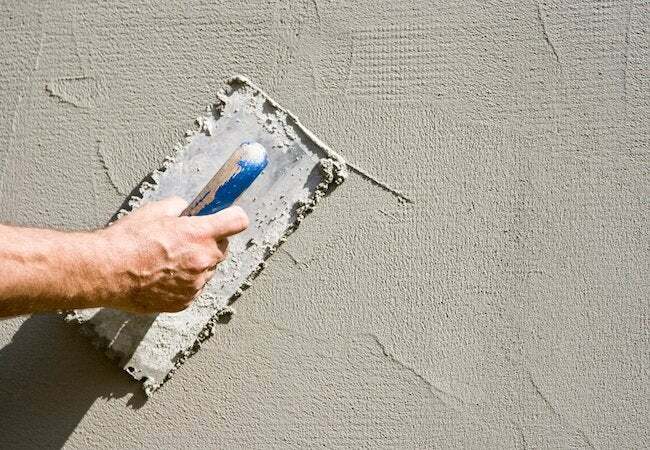 Cement increased the workability of stucco, with longer drying times allowing builders greater freedom. Yet the southwest remained the perfect place for stucco, thanks to arid conditions and high sand content that made the soil stable. Attempts at installing traditional stucco in climates farther north and east met with mixed results. In regions where the soil moved, causing house foundations to settle, cracks appeared in the stucco that allowed rain to penetrate and loosen the siding from its sheathing. Today, the addition of polymers and other agents for increased flexibility, along with refined application techniques, have improved stucco’s resilience, making it a growing choice throughout the United States. Stucco is appealing for a number of reasons, chief among them its fire resistance. A 1-inch coating of stucco provides a one-hour firewall rating, which means it will prevent the spread of fire from one side of the wall to the other side for at least one hour. This makes stucco desirable for multi-family dwellings with strict fire codes, and those in neighborhoods where houses are built in close proximity to each other. Then there’s looks, and those appealing hues—from soft shades to deep earthy tones—achieved by adding dyes to the mix. 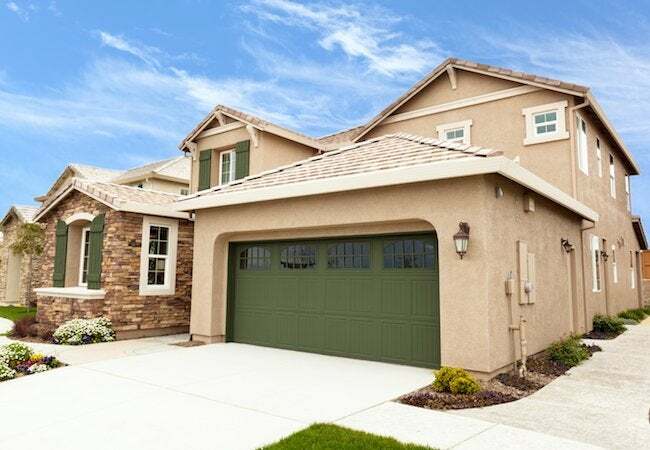 Customarily, stucco was often paired with flat roofs and clay tile roofing material, but people find the surface so attractive, you’ll now see stucco on homes with pitched roofs and paired with both shingle and metal roofing materials. But due to its brittle nature, stucco siding will crack if a house foundation settles. It simply isn’t the best choice in regions where soil is high in clay, notorious for swelling and causing foundations to shift. Over time, even stucco on homes with firm foundations can develop hairline cracks. While small cracks won’t affect the integrity of the siding and can often be repaired without calling a pro, cracks of 1/4-inch or wider spell trouble. Some stucco homes built after WWII were created with a spray-on form that didn’t prove as sturdy as traditional hand-troweled stucco. As time goes on, these homes may be prone to large multiple cracks and/or chunks of stucco falling off, and the only real option is to have the faulty siding removed and replaced by a reputable contractor. Finally, stucco hasn’t got an appreciable insulation factor: A 1-inch layer of stucco has a 0.20 R-value, which means it only has 20 percent of the insulation factor found in the same thickness of wood—none too desirable in a cold New England winter! Stucco is installed in layers, a time-consuming, labor-intensive process done by skilled pros—not a job for even the most ambitious DIYer—and that’s why it can be pricey. In the southwest, where stucco contractors are knowledgeable and plentiful, you can have it applied for $4 to $7 per square foot, but in other climes, expect to pay between $6 and $10 per square foot. The application process depends on the house’s structure—wood-framed walls require more coats of traditional stucco than block or concrete. By applying stucco in layers and allowing each layer to set, the contractor gradually builds up the thickness of the siding. • Traditional stucco is applied in a three-coat process to wood-frame exterior walls. It starts with a “scratch coat” spread over metal lath attached to a house’s exterior sheathing. The rough surface allows the next layer, the “brown coat,” to adhere. The brown coat adds strength and acts as a base for the “finish coat,” which can be hand-troweled to create a custom surface texture. • Two-coat stucco is used on concrete, brick, and block walls. The existing masonry makes a scratch coat unnecessary. Instead of metal lath, a bonding adhesive is applied to the masonry wall before two coats of stucco are applied. • One-coat stucco is a relatively new process using stucco mixed with fiberglass, applied over metal lath. Not all stucco contractors offer the one-coat process, so you may have to call around to locate one in your area. If you already own one of these stucco homes, pay attention to its maintenance needs to get the most from this exterior. 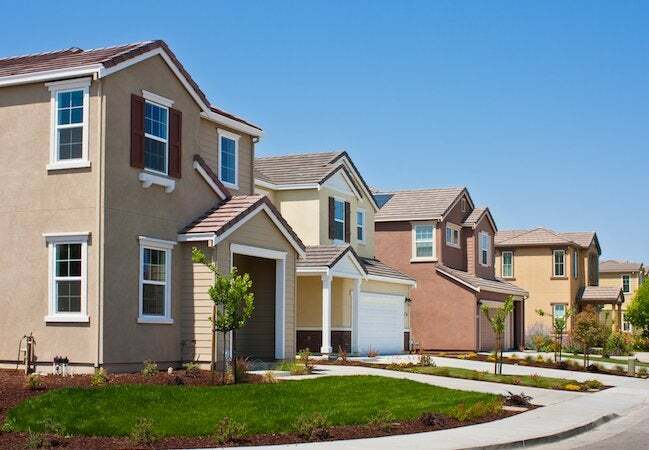 • If you worry about foundation settling, take steps to reduce soil movement. By installing good guttering and downspouts, and by grading your yard to slope away from the foundation, you’ll limit soil saturation and lessen the risk of foundation movement. • Remove dirt and debris that collects on stucco with a medium-bristle brush and a garden hose. Cleaning with a high-pressure washer is not recommended, as it can damage the surface. • To remove mold, combine one-part non-chlorine bleach with three parts water and apply directly to the stains with a sponge or brush. Allow the solution to soak into the surface before rinsing with a hose. • Efflorescence, a white stain that can develop on stucco exposed to prolonged moisture, can be removed by spraying with white vinegar. Allow several minutes of dwell time before rinsing with a hose. Re-treat if necessary to completely remove the stain. • Keep in mind that stucco can be painted if you tire of the color, and and you can probably do the job yourself. With just a little care, your stucco siding will keep its distinctive look for years to come.